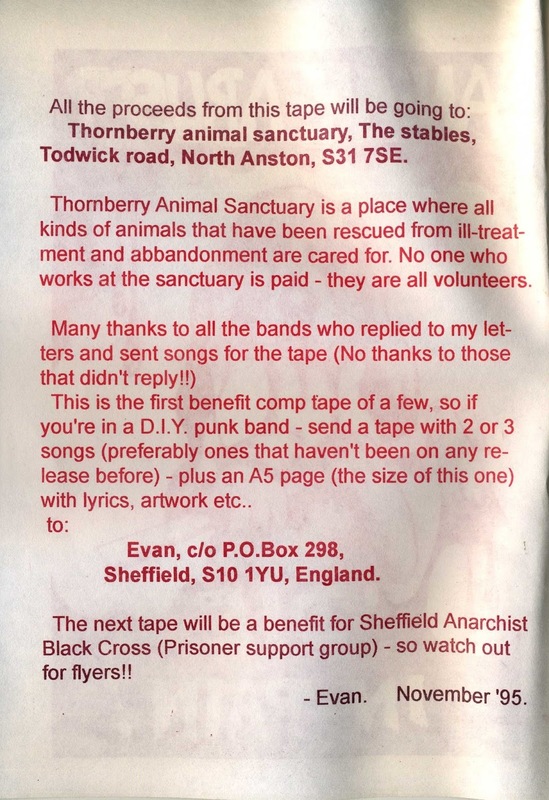 I spoke already about Mitsey Distro,It was managed by Evan Griffith,in Sheffield(North England)who was also printing the amazing fanzine Gibbering Madness,which I posted few issues and He released the amazing video compilation Video Ate My Brain. 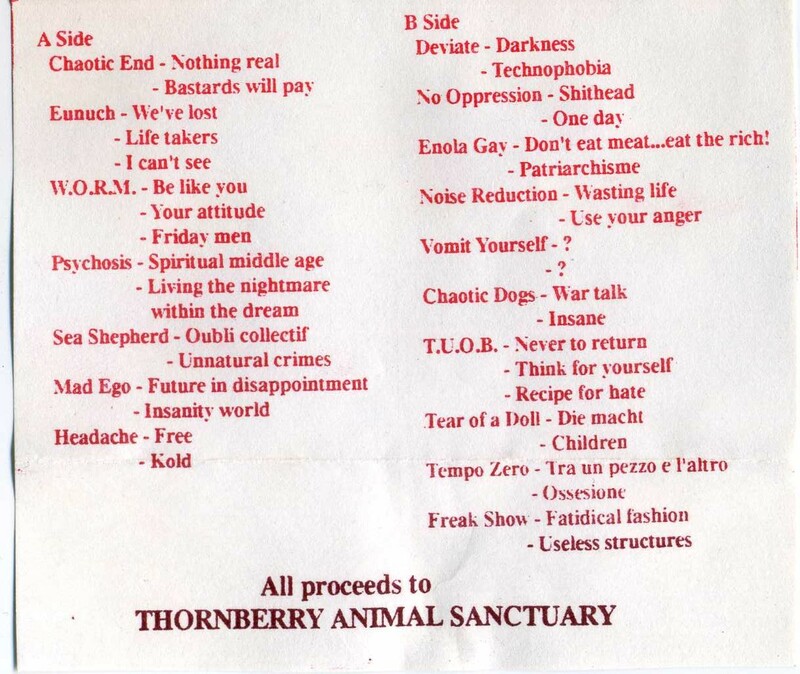 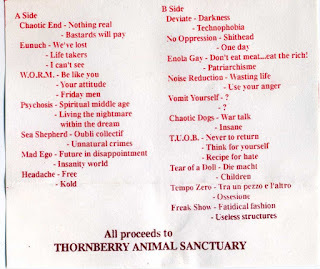 This is a long international compilation with lots of anarcopunk bands and it was benefit for Thornberry Animal Sanctuary. 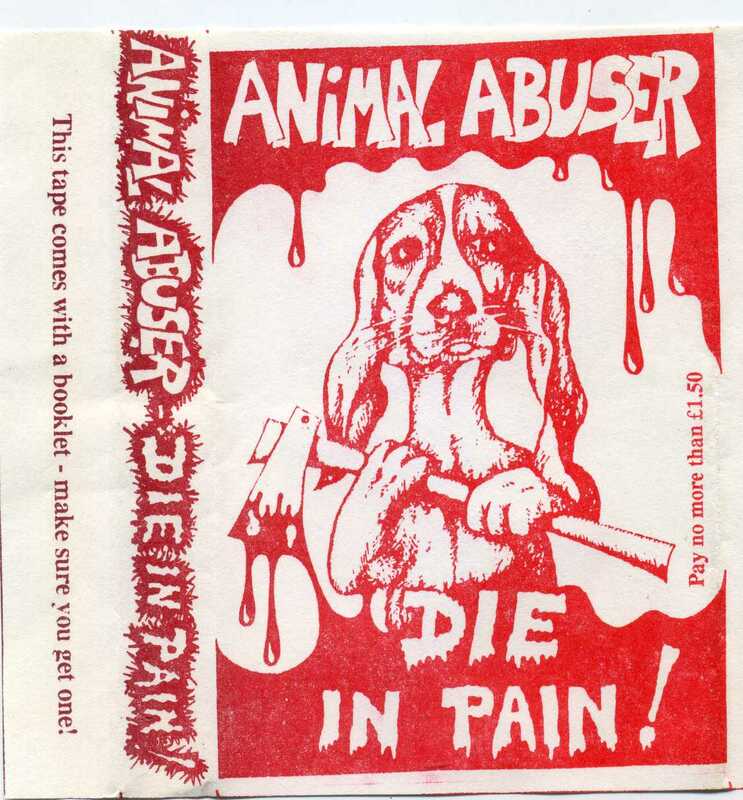 It came out with a small booklet reporting graphix works+lyrics by the bands included and info about the benefit project.